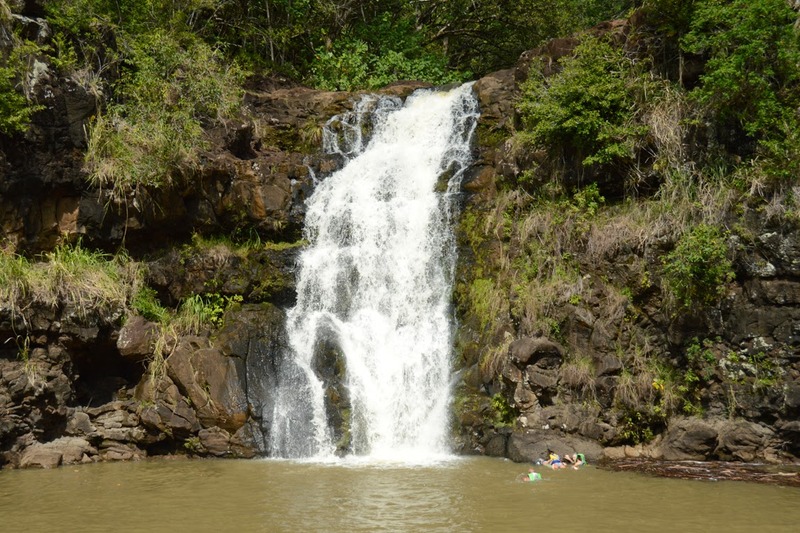 Nice half-hour hike up to Waimea Falls on North Shore Oahu. It's a 3/4 mile (30-minute) hike each way. 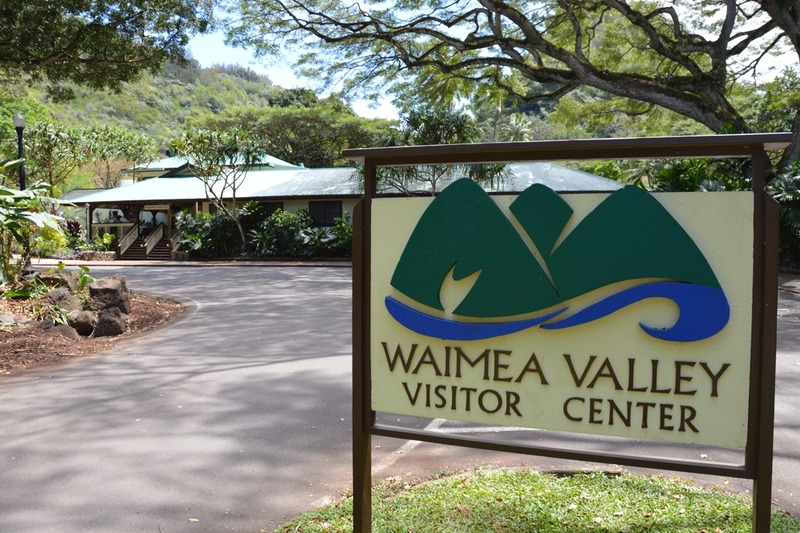 They also have a Shuttle up to the waterfall, $4 one-way or $6 roundtrip.